Finding a roommate can be one of the most challenging parts of the housing process. However, at Temple, we pride ourselves on offering tools to help you succeed. We understand that as you transition from high school to college, the need to find a compatible roommate is crucial to your decision-making process. Within the Housing Selection process, there is the option to select your roommate(s). 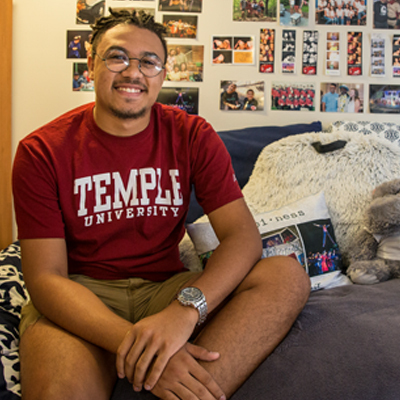 If you have a group of roommates that would fill a 6 or 7 person apartment in Temple Towers, please email housing@temple.edu to book that space.